This year the charity will move to a new headquarters and world-class training facility at Urlay Nook. 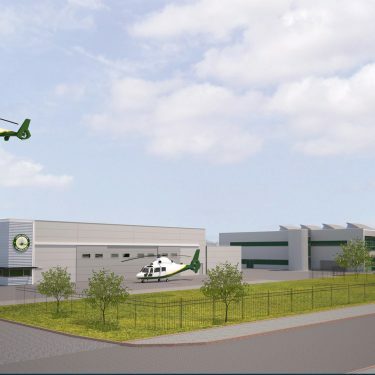 The facility, near Eaglescliffe, will be home to our helicopters and staff. It will bring together the fundraising, lottery, admin and operational teams under one roof for the first time, while also hosting our renowned pre-hospital medicine courses. Work is underway on our new home at Urlay Nook. An existing office block is being renovated in time for fundraising and admin staff to move in by Spring 2019. Work will then start on creating a hangar and landing facilities for our aircraft. Once complete, our team based at Durham Tees Valley Airport will move in before Christmas 2019. We are always careful with our money and so we are pleased to be making a move that will leave us in a better position. The move will save us around £120,000 in rent and rates on our three existing locations. This money will be better spent on frontline care and improving our service. But as ever, we still need the support of the public in keeping our aircraft and crew flying across the region. The new base will allow us to develop our renowned training functions – which already attract clinicians from all over the world. 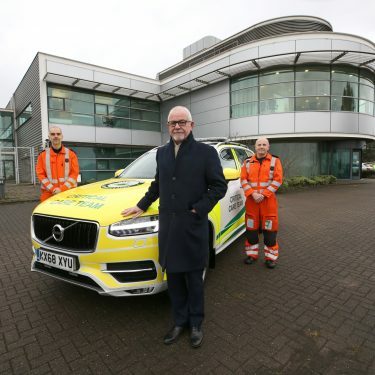 It will allow us to research new equipment and methods that will save lives here in the North-East, North Yorkshire and Cumbria. And it will provide a permanent home for our helicopters, critical care team, and the fundraising and admin staff who make it all possible. The new base will save the charity money. But we still need the support of the public to survive. Please consider making a donation today.